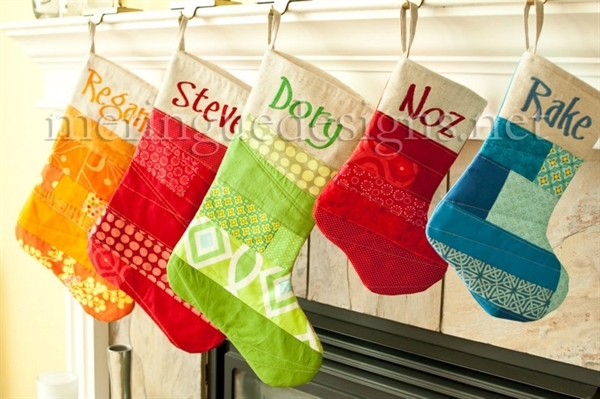 Casual alphabet letters in 4 sizes! You will receive the entire alphabet in uppercase letters, lower case letters, and numbers. That's a total of 248 files! 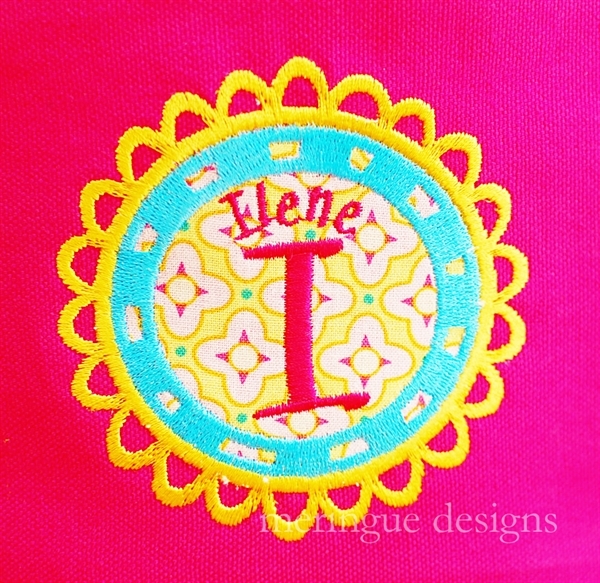 The four sizes included are 1/2", 1" ,2" and 3"
Designs are all satin stitches except for the largest 3" size which is done in step stitches. 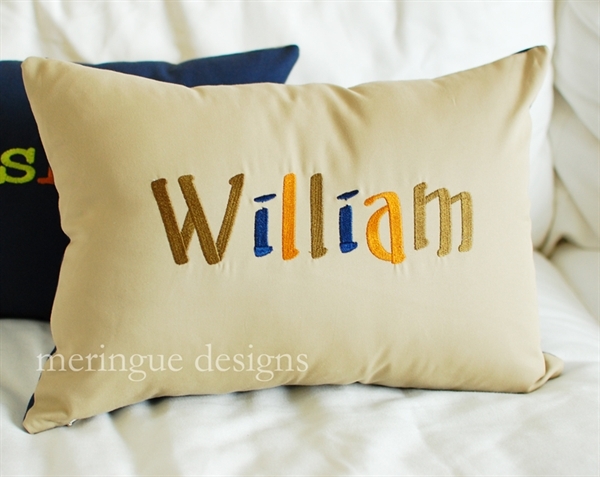 About the photos: The William pillow is done in 3" alphabet. 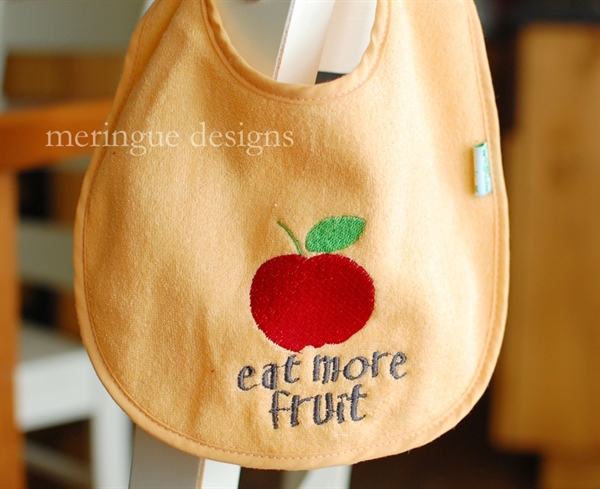 The bib is done in 1/2" satin stitch letters. 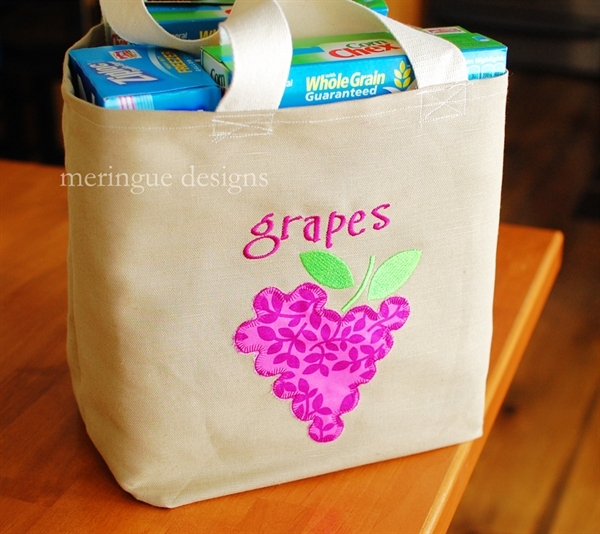 The grape grocery sack is done in 2" satin-stitch letters.